It's been eons since my like "Day in the Life" post, and I thought now would be a good time to share one, what with my working a new job and all. The day below is from earlier this week. How've you been filling your days this autumn? 8:30 a.m. - Arrive at the library and get the youth services program room set up for the morning. Then I run up to my third-floor desk to stash my stuff. 9:00 a.m. - Weed the juvenile fiction shelves. This has been an ongoing project this month, and the shelves are looking so much better. 10:30 a.m. - Multicultural storytime photoshoot! This isn't a traditional program but rather an opportunity for families to participate in a few multicultural activities as part of a promotional campaign. That said, as far as kids are aware, it is pretty much a storytime. We sing songs, read some stories (including My Mother's Sari with the assistance of scarves--highly recommended), dance to some ukulele tunes, and then head to the craft room for some activities. Caregivers are wonderfully engaged with their little ones throughout. 11:45 a.m. - After cleaning up after the photoshoot, I head up to my desk to process a few patron requests for purchase. A few things slipped through the cracks between when my predecessor left and I started, so I'm anxious to get those fiction orders filled. 12:15 p.m. - Gather research for a project I'm working on that will help inform whether we're really meeting the programming needs of kids of every age. What resources do you use to make sure your programs are beneficial for your target audience? 1:15 p.m. - Lunch! It's leftover risotto and a good galley on this particular day. 1:45 p.m. - Run down to the youth services desk to pick up a cart of picture books to be weeded. One of our interns has started a project for culling the oodles of copies of formerly-super-popular picture book characters, and I double check this work and then get the copies reading for withdrawal. 2:15 p.m. - Create a weeding list for picture books in the general collection. Those shelves have been looking particularly packed, making them hard to browse and quite messy as multiple copies come off the shelf anytime you remove a book. I fiddle with the parameters of my weeding list--still getting used to a new ILS. 2:45 p.m. - Start plotting our youth spring program calendar. When it comes to multi-month, multi-program planning, I work best with a paper visual. 3:15 p.m. - Research area performers who might be good for spring programs. 4:00 p.m. - Enter the March/April storytime session in our online planning calendar. The session will be five weeks long, with the following every week: 1 baby time; 2 one-year-old programs; 2 Time for Twos; 2 preschool storytimes; 1 Little Learners program (for older preschoolers); an all-ages time; and social Together Time. 4:45 p.m. - Check my calendar for the next day's activities, including making sure I have prepped what I need for meetings. 5:00 p.m. - Head home. What Does a Balanced Program Calendar Look Like? File this under "Things I'm Thinking About Because I Just Started at a New Job, But That All YS Folks Should Consider at Least Annually." One of my responsibilities in my new position is coordinating programs. Right now, we're on a quarterly program calendar; we're always planning programs in three-month chunks. I coordinate programs led by youth staff; digital media specialists; our experiential learning librarian; our special needs lead; and featured/hired performers. Since we're a standalone library, all programming happens at our one location. 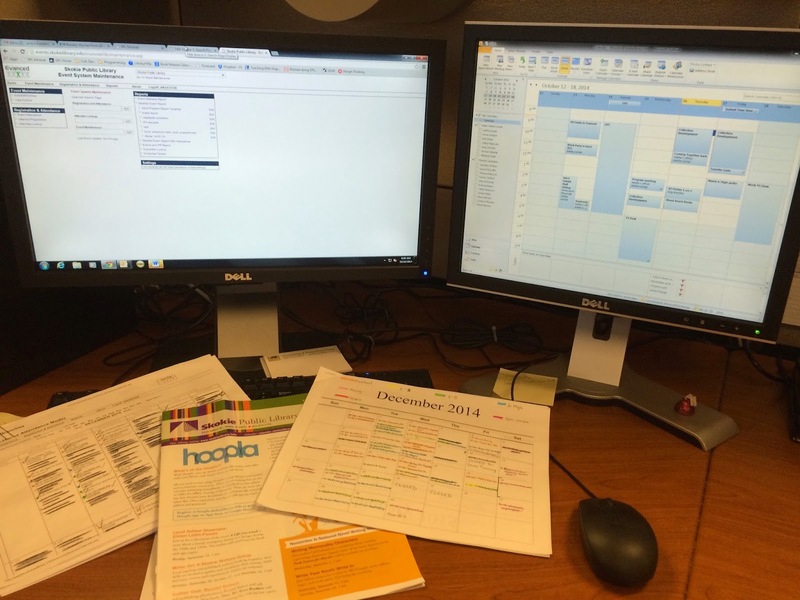 Which means there's a lot of coordinating that goes into finalizing any quarterly program calendar. 1. Your institution's strategic goals and/or annual objectives. What is your institution striving to achieve? Are you seeking out a specific audience of new program participants? Are you looking to support curricular mile markers in your community? Do you have a quantitative goal for increasing programs, or program attendance? Goals and objectives can be whatever you and your institution have decided, but they need to be kept in mind throughout every program planning cycle. 2. The age range(s) you serve. And not just the age range you currently serve with current programs; in many cases, the programming scales are heavily tipped toward early literacy (an excellent program category) but with minimal, or no, school-age offerings. Consider the full range of people you serve in your department, or ideally want to serve. And remember: the caregivers in your department count, too. I'm delving more deeply into this particular subject in coming months, but it's safe to say at this point that not every program is appropriate for every age. And by the same token, if the Percy Jackson program you offer for grades K-5 is only attended by K-3, then you're actually not meeting the program needs of those older elementary kids. Consider what is appropriate for specific ages, based on your childhood development expertise, when you plan a program; and then consider that program's reach after it's been offered. I find that it's particularly important to be reflective about programming when it comes to the age of kids we serve, because who we think will attend a program can often be different from who actually attends a program. And that often leaves the kids at the old ends of age ranges without much to do in the library. I can go on and on and on about how literacy in library services for youth doesn't refer exclusively to early literacy. There are so many types of literacy, and they are appropriate at different ages and stages of learning. What types of literacy do you want to promote? Reading? STEAM? Digital citizenship? Social literacy? Be thoughtful about what types of literacies you want to help kids develop, and integrate those into your program calendar. NB: They don't have to be standalone programs; you can integrate pretty much any type of literacy into existing programs with a bit of research and planning. 5. The special needs programming your community needs. I will never purport to be an expert on special needs programming, but I do know that every community needs something unique when it comes to special needs programming. Talk to schools, parents, your special needs librarian, etc., to suss out what types of special needs programming will be most utilized by your community. Remember that all ages of children with special needs can benefit from special needs programming, and also that there are huge benefits to programs in which children with special needs are alongside typically developing children. A balanced program calendar can only truly be balanced if the staff providing the programs don't feel crushed and stressed by what's being asked of them. Talk to program providers. Talk to desk staff who are covering the front lines of service while programs are happening. Yes, programming usually means that there are some days and times that are more hectic than others; but it doesn't mean we all have to be running ragged all the time. Consider when thoughtful breaks from regular programming, like storytimes, may be useful for staff, and also consider what alternative activities you can offer in these breaks. Be creative in what you offer, but be kind to staff, too. A balance program calendar is one that is sustainable. These may be big projects specific to your library or system. For instance, every January and February, we take part in a community-wide initiative called Coming Together in Skokie and Niles Township, which requires a fair amount of special programming on our part. These types of projects definitely need consideration for a balanced program calendar. Remember state and national initiatives, too. There's Take Your Child to the Library Day (beginning of February); World Read Aloud Day (beginning of March); National Libraries Week (April); Día (end of April); Star Wars Reads Day (October); and many more. Make a longterm calendar that includes these annual initiatives so they never sneak up on you, then choose the ones that best fit with your library's goals and mission to celebrate and program around. I feel like this last point is fairly obvious: you don't want all of the programs happening at once, nor do you want there to be huge swaths of time in which nothing is happening. Take into consideration school breaks when you schedule programs. Take into consideration what else is happening in the library and in the larger community. Take into consideration the schedules of working parents. Take into consideration staff schedules. In short, be incredibly intentional about timing. These are the major things I'm currently considering when it comes to a balanced program calendar. I feel confident that these considerations will evolve and grow as I become more familiar with my new position. Also, summer is its own can of worms in most libraries. But for now, these eight points are helping me to think about programming in a way that is balanced for our community's needs. What do you consider what it comes to creating a balanced program calendar? If I may, I would like to direct your attention to two pieces of writing that have gone live in the past few days. First is my latest, and last (for the foreseeable future, at least), STEAM post for the ALSC Blog. In this post, I'm exploring the idea of pop-up programming on a STEAM theme. The concept of pop-up programming for youth has been on my mind a lot since beginning my new job, and I can pretty much guarantee that the topic will show up on this blog again in the not-too-distant future. Until then, I invite you to think about STEAM pop-ups with me. Second is chapter one of the Little eLit book project, Young Children, New Media, and Libraries: A Guide for Incorporating New Media into Library Collections, Services, and Programs for Families and Children Ages 0-5. Cen Campbell and I wrote this first chapter, titled "New Media in Youth Librarianship," together, and its release marks the first publication for this title. Subsequent chapters will be released serially on the 15th of each month, one per month. When all chapters have been published, the chapter authors and I will make any necessary changes (this is a constantly-evolving topic); add our appendices; and publish the whole thing in one PDF ebook volume. There's even talk of some bound print copies. For now, however, there's this first chapter. We hope you enjoy it and look forward to the rest of the book. 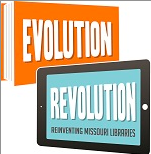 At the end of last week, I drove back down to Missouri for the 2014 Missouri Library Association Conference. I was slated to present twice on the last morning of the conference, each time with a former colleague. My former branch colleague, Angie Soetebier-McDonnell, and I gave a presentation on our experiences with unprogramming within our branch. Angie still focuses primarily on teen services at the branch, and while I worked there I did lots of school-age programming in addition to other responsibilities. After Marge Loch-Wouters and I developed the concept of unprogramming (unpacked in a series of posts beginning here), Angie and I talked about it at length. It's a programming philosophy and strategy that minimizes library costs--staff planning time, purchasing supplies, etc.--while engaging youth participants at least as much, if not more than, traditional programs. That's what Angie and I presented: ways to use unprogramming in lots of youth and teen library contexts, as well as a number of program examples. Our slides are below. The second presentation was with Sarah Bean Thompson. We cheekily gave the presentation as the Green Bean Teen Queen (Sarah) and the Show Me Librarian (me), because those are our blog aliases--our presentation was all about getting started blogging. As Sarah and I crafted the presentation, we reflected on our own experiences with blogging and thought what a new blogger might need/want to know. The result is the "First-Time Blogging in 10 Steps" list that we discussed, step-by-step, in our session. The full slides are below, including lists of exemplar blogs on the final few slides. If you've got any questions about blogging--or about writing guest posts--please feel free to contact either Sarah or myself! It's an offer we extended to our program audience, and we're happy to extend it to you, too. Thanks to the organizers of the 2014 Missouri Library Association Conference for your work and hospitality! I recently returned from the 2014 ALSC Institute in Oakland. It was a great conference, with tons of thoughtful presentations, insightful ideas, and engaging conversations with colleagues. One thing that really struck me after the conference, however, was a statement I heard from a number of friends and colleagues: "Wow, Amy knew everyone at the conference." My response to that statement, if I may, is a story. It's 2011. I've just graduated from library school, I have a temporary reference assistant job but am looking for a full-time professional position, and I head to New Orleans for the ALA Annual Conference. While there, I attend a ton of sessions to learn about programs in public library settings; I would love to talk to several of the presenters about their sessions, but I'm too intimidated to say more than just "thank you." The only non-program event I attend is a resume and cover letter review. I mostly explore New Orleans on my own, and my one "social" event is having dinner with friends from library school. I don't dare venture outside my comfort zone. Fast forward to 2012. I have a professional position, which I'm sure does something to add to my general level of confidence in professional settings. I go to Indianapolis for the ALSC National Institute, and as I drive to Indy, I have a little talk with myself: "Amy, you're going to be surrounded by youth librarians. If any group of librarians could be 'your people,' these are your people. Make a point of introducing yourself to at least three new people every day, and don't eat any meals by yourself. Make some friends." So when I arrive in Indianapolis, I go to the pre-Institute Happy Hour. I didn't know anyone, and at first it's awkward, but after the first minute or two, I introduce myself to my table mates and we get to chatting. 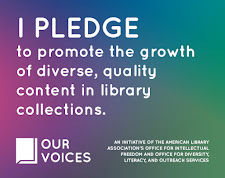 Many are longtime ALSC members, but others are relative newbies like myself. We have a good evening, and as a result I see some familiar faces at the opening address the next morning. I attend sessions, and when I really like an idea or want to know more about a presenter's content, I go up to the presenter after the program, introduce myself, and talk to the person. They are universally gracious and happy to chat more about the work they love. It's like talking to a fellow enthusiast, not like talking to an expert who sees me as a novice. It's always a level conversation. I talk to people. I sit with people. And I make connections that are rejuvenated at future conferences. I may not keep in touch with every acquaintance throughout the year, but when we see each other at conferences, we chat about work and life. We have a professional relationship. These two conference experiences--2011 in New Orleans and 2012 in Indianapolis--were so wholly different for me. And, honestly, I think the major difference in my experience comes down to my willingness to introduce myself and join a conversation. I was not a person who ever felt comfortable doing that, but for one conference, it's what I did. And you know what? All it takes is introducing yourself and talking with people at one conference, and then you'll have familiar faces at conferences ever after. Everyone starts off as the person who feels like an outsider, but once you've talked to people, you are never that outsider again. You have a network. Introduce yourself and join the conversation. Does that feel awkward and imposing to you? It's not, because a) introductions are NEVER as awkward as having no idea who a person is; and b) conversations happening at public events are definitely public. Trust me, if a conversation is meant to be private at a conference it's not taking place in a space where others have an opportunity to join. So go up to a group, introduce yourself, and then participate in the conversation. Presenters are people too. So are board members, conference organizers, etc. Do you like to hear that someone enjoyed your work? So do they! So if you found a presentation or speech interesting and want to know more, approach the person. They will almost definitely be happy to have the conversation. And if they happen to be busy in that particular moment, they'll likely give you their card or contact info to continue the conversation later. Related: If someone gives you their card, it does actually meant that they are open to an email exchange. Sit at that table. If you're at a conference where there's a large banquet-style meal without assigned seats, finding somewhere to sit can feel stressful. Don't let it get to you. Instead, find a table with an open seat--possibly one where it looks like table mates are already chatting--and ask if you can join. Once you've joined, introduce yourself and joint the conversation (do you sense a theme here?). If you're at a conference where attendees are left to get meals on their own, find a group and suggest all getting a meal together. You can get separate checks, and then you can have conversations over dinner that leave you with familiar faces for the rest of the conference. Dining mates can turn into colleagues, friends, and collaborators, but not if you're dining alone or in silence. Go to ALSC 101, or whatever your division's equivalent is. Organizers of these introductory sessions realize that conferences are overwhelming and socially intimidating for many new attendees. Heck, they can be overwhelming and socially intimidating for seasoned conference-goers. So they offer these events that are part information, part structured social time. You know how you offer icebreaker activities in your programs for school-age kids and teens? Yeah, librarians benefit from those activities too. So attend, participate, and meet people who have professional interests that align with yours. That's the way to make colleagues and connections in this profession. One reason I love going to conferences is because I get to see inspiring colleagues and friends whom I otherwise only follow from afar--Twitter, ALSC Updates, etc. So, yes, I talk to lots of people at conferences, because I find that to be the most rewarding part of my attendance. 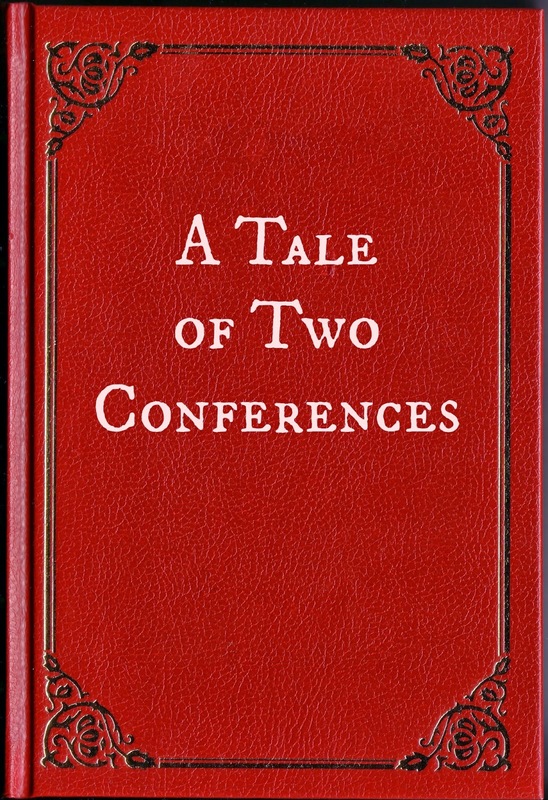 But I didn't always experience conferences that way. It's all because I decided it was important to talk. Before I left my job in Missouri, my adult reference colleague Michele Nolan and I were planning our second joint kids/caregivers programming event: a Make Your At-Home Storytime Kit. The premise: while kids were on one side of the partitioned program room doing storytime and open play with me, caregivers were on the other side with Michele making supplies for an at-home storytime kit. The activities were planned, supply lists were made, and... then I left. My adults consisted of parents, caregivers and grandparents. So, while Erin kept the children busy, I then had the adults make their own "At-Home Storytime Kit" that consisted of materials for "Read," "Talk," "Sing," "Write," and "Play," in addition to mentioning how "Math" can be incorporated into any and all of these activities. I had 12 adults signed up with 10 that showed, plus a mom with her kids that asked if she could join in. Even though I physically had 11 at the end of the program I had a few (3) people ask if they could take an extra set to share with others. "Really enjoyed having the materials and explanation on how they work with a child's learning." "I wasn't sure at first how this was going to work out with bringing the kids, but it is great knowing that they have an activity for them also." "Have been looking for new and fresh ideas." "Originally came to make this for my daughter to use with her kids, but instead am going to keep it at my house so the grandchildren have something that I can interact with them." "Really glad I signed up for this." "Wasn't exactly sure what I was signing up for, but am glad I did." "Hope to see more of these type of programs." Success! A resounding success, with caregivers actively engaged in creating early literacy activities to use with their children outside of the library! Woo hoo! And lastly, the full activity breakdown. Caregivers used empty CD sleeves, key rings, paper cut to fit the sleeves, and writing utensils to create a blank book for them to fill in with their child. The premise was to add pictures (drawings, photos, or both) and words together at home. Using cut paper towel rolls, pig and wolf templates, scissors, glue, and coloring utensils, caregivers created puppets for each character in the story of the Three Little Pigs. Also included was the text of the story for those who needed a refresher. The premise is to then tell and retell the story at home with their child. Caregivers poured white glue and a bit of food coloring into plastic zipper-top bags, which they then sealed with duct tape. The premise is to encourage children to use a finger to write/draw shapes and/or letters in the goo through the bag. Empty cube-shaped tissue boxes were wrapped in colorful paper, after which caregivers added images to each of the six sides to represent six common children's songs. The station also included a lyrics sheet. The premise is to roll the cube and then sing with their child the song that goes with the image facing upwards. Caregivers used a house template drawn along the bottom of file folders to create lift-the-flap houses. They cut out the houses and colored them different colors, then colored and cut out a small mouse, too. The station included an instruction sheet for this activity, where the caregiver hides the mouse in one of the houses and says with their child, "Little mouse, little mouse, are you in the *color* house?" until they find where the mouse is hiding.